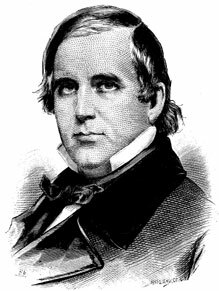 A visionary businessman who became Chicago's first mayor, William Butler Ogden helped to write the city charter, oversaw construction of nearly 100 miles of city streets, and built Chicago's first railroad. Like many early settlers, Ogden was a Yankee. He came to Chicago when it was still a frontier village surrounded by swamp and prairie. Within a few years, Ogden made a fortune in real estate and as owner of a brewery and other businesses. He was elected mayor during the Panic of 1837. Although the country plunged into a recession, Ogden kept the city solvent and persuaded Eastern investors to maintain faith in the young city. Leaving office, Ogden turned his attention to transportation. In 1848 he built the Galena & Chicago Union Railroad to link the prosperous mining town of Galena in western Illinois to Chicago. When Eastern investors proved skeptical, an undeterred Ogden financed the line by selling shares to farmers and merchants along the route. Ogden's energetic leadership helped Chicago become the railroad capital of the nation and led to the city's tremendous growth.